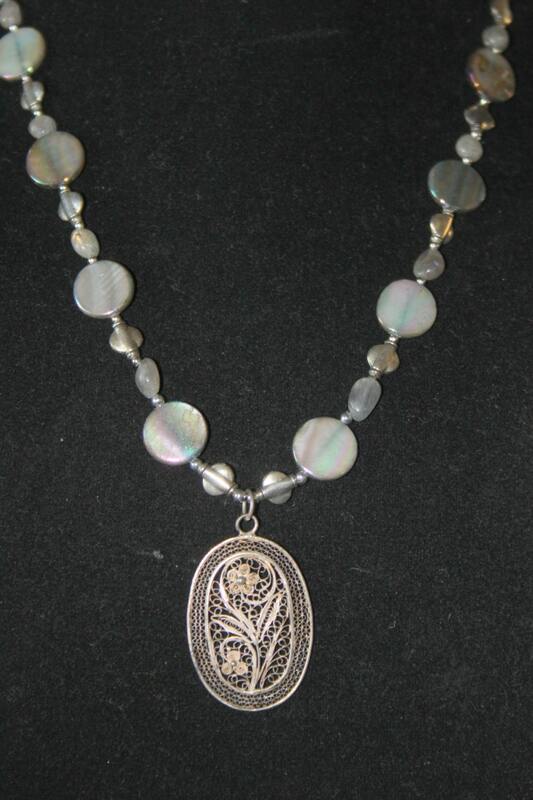 This necklace is made with gray, coin pearls and Labradorite nuggets spaced with small Bali sterling silver beads and round seed Beads. The pendant is a vintage sterling piece from Japan I was given from an estate sale; is probably from the 1930's or '40's. 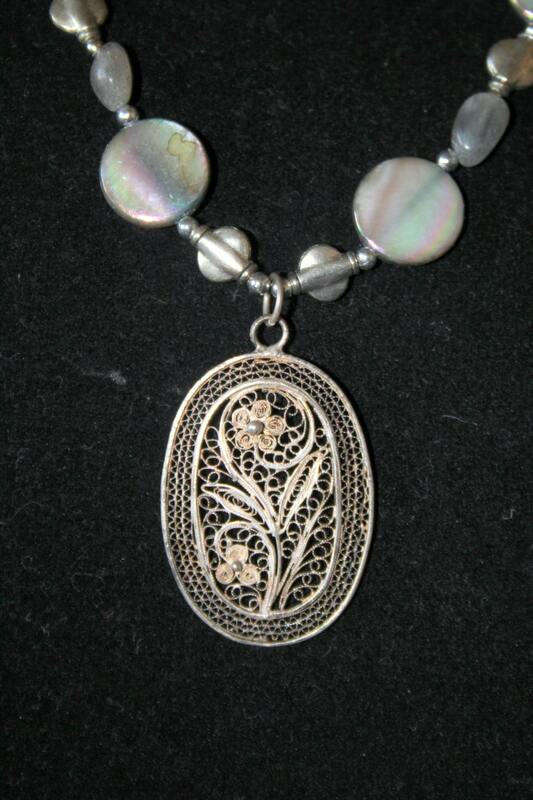 It has flowers and an intricate design done in filigree and I did not remove the old patina. 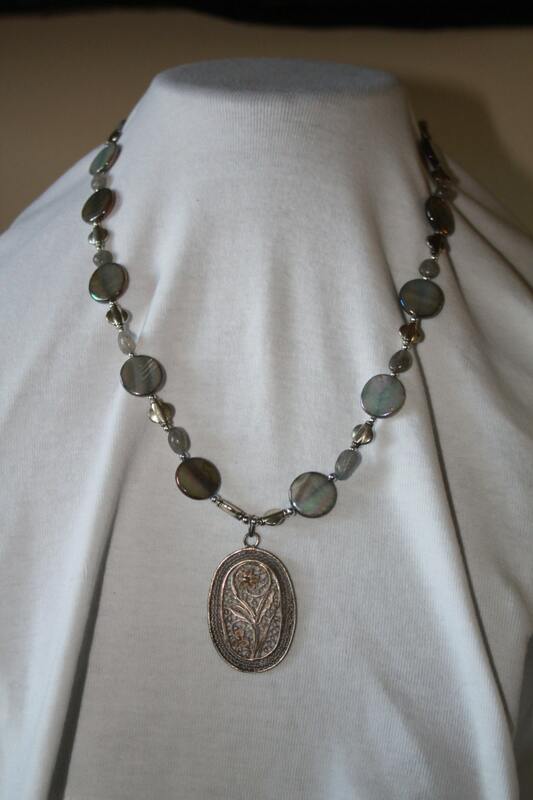 The necklace has smaller round beads that go around the neckline for comfort and an adjustable silver toggle clasp. It is 20 inches long. 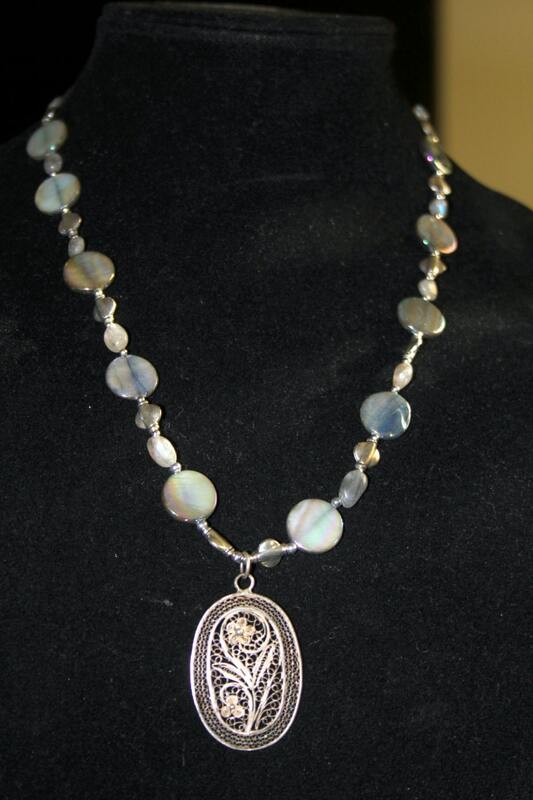 The pendant is 1 3/4 inches long by 1 inch wide. The necklace looks good on black or any dark color and is light weight.